Right now, I'm traveling and in Texas doing Mother-of-the-Bride activities like viewing the final fitting of bride Serena's wedding gown. 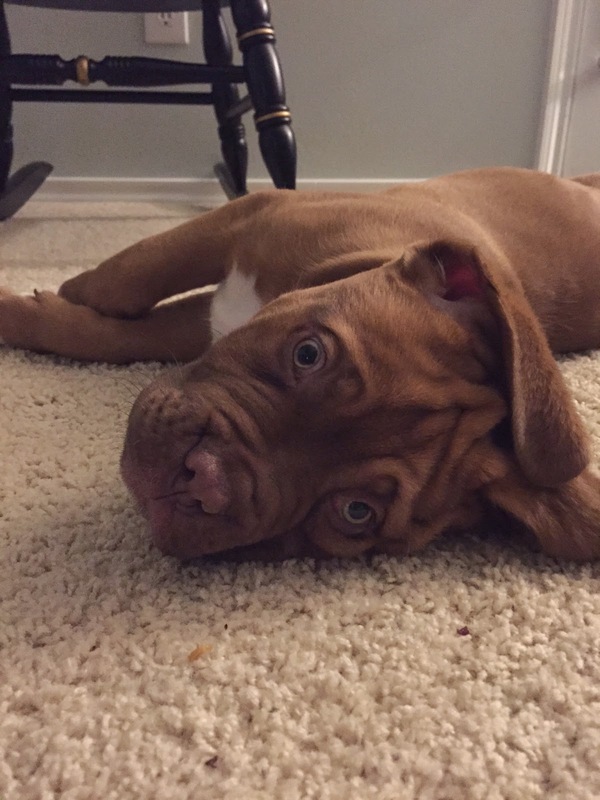 :) So, I thought I'd post more photos today of Serena and Jeff's French Mastiff puppy, Boss. You can see that he's growing quickly. 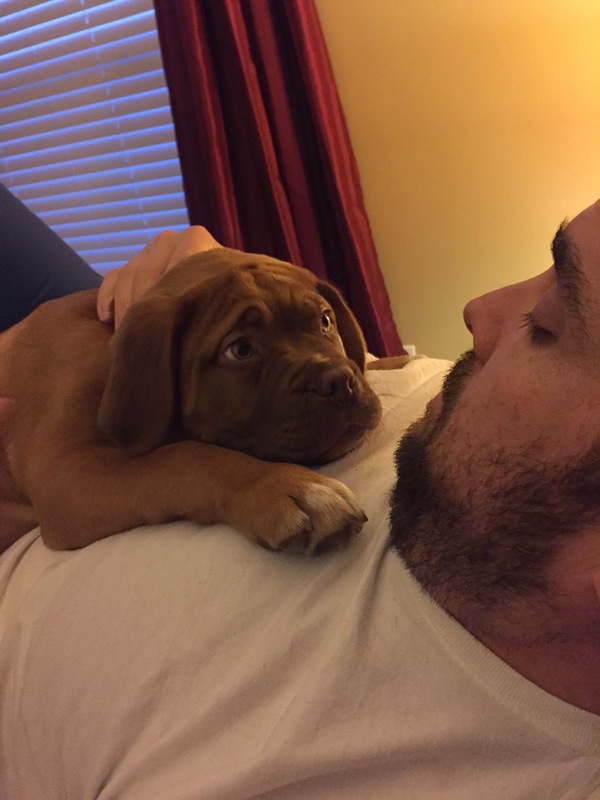 He's now about ten weeks old. Okay, I used to be able to crawl under here and get out again. What happened? Boss is adorable! Hope you are having fun doing the Mother-of-the-Bride activities! An adorable puppy! Love the photos, thanks for posting, Maggie. So cute! My son and dil have 3 Mastiffs, Jake, Isabella, and Gracie. But they are already close to 200 pounds each! Still, they are adorable dogs. Aaw. He's just such a sweetie! TeeM----I had to write it that way because otherwise the Trademark symbol kept appearing. I'm amazed that your son has three 200 lb Mastiffs. :) Amazing! Aww, he's such a sweet puppy.